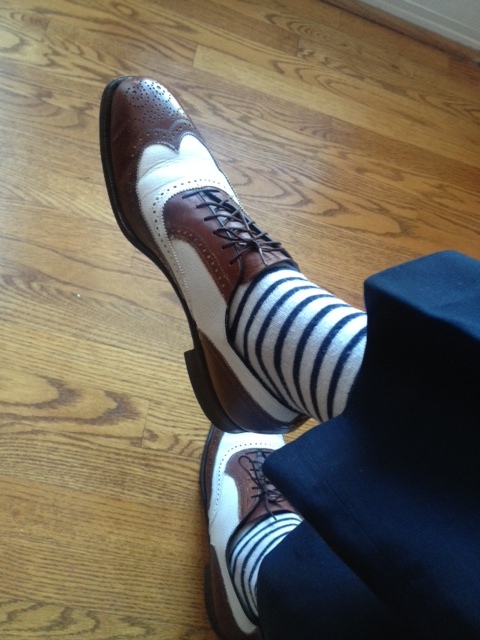 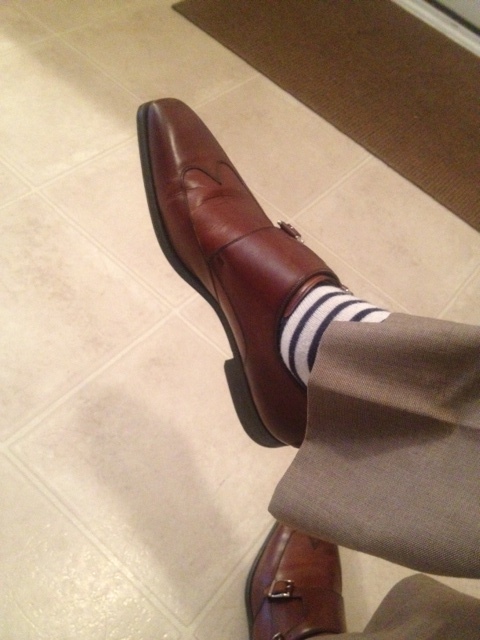 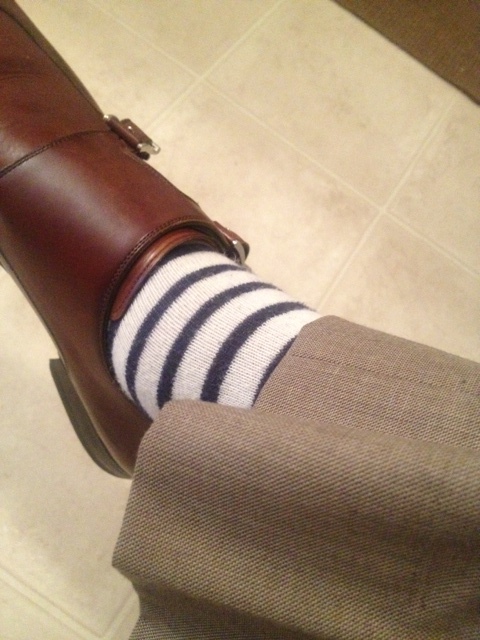 Navy stripe socks are by Ralph Lauren. 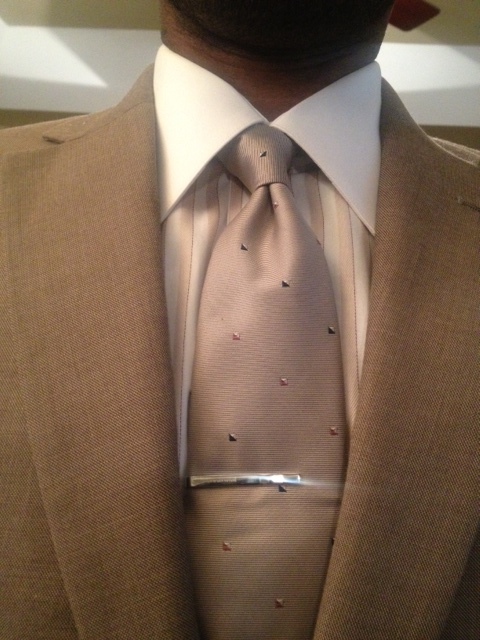 Navy necktie is by Banana Republic. 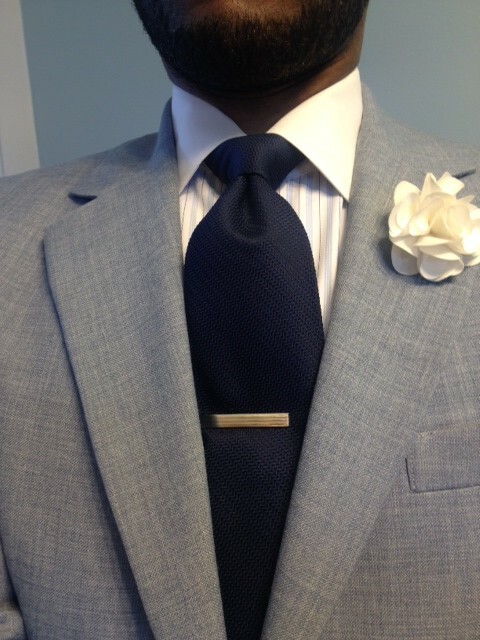 Silver tie bar is Banana Republic. 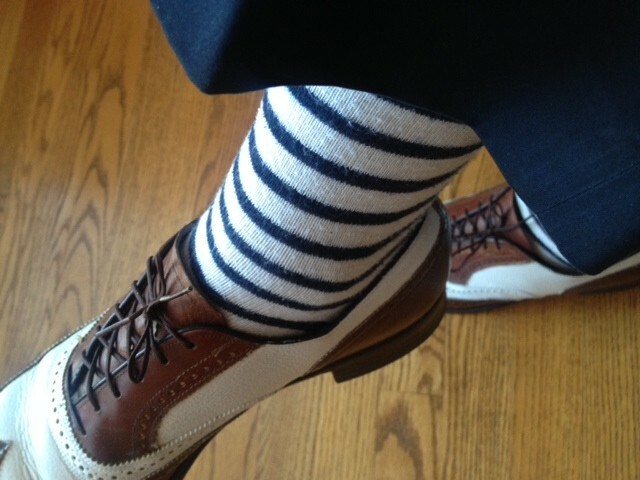 Stripe contrast spread collar french cuff dress shirt by Land’s End is a thrifting find. 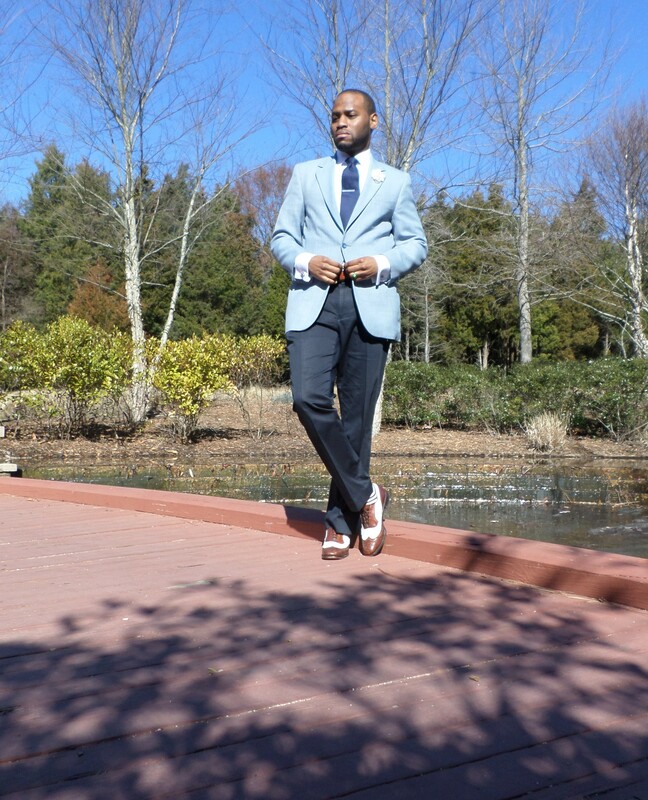 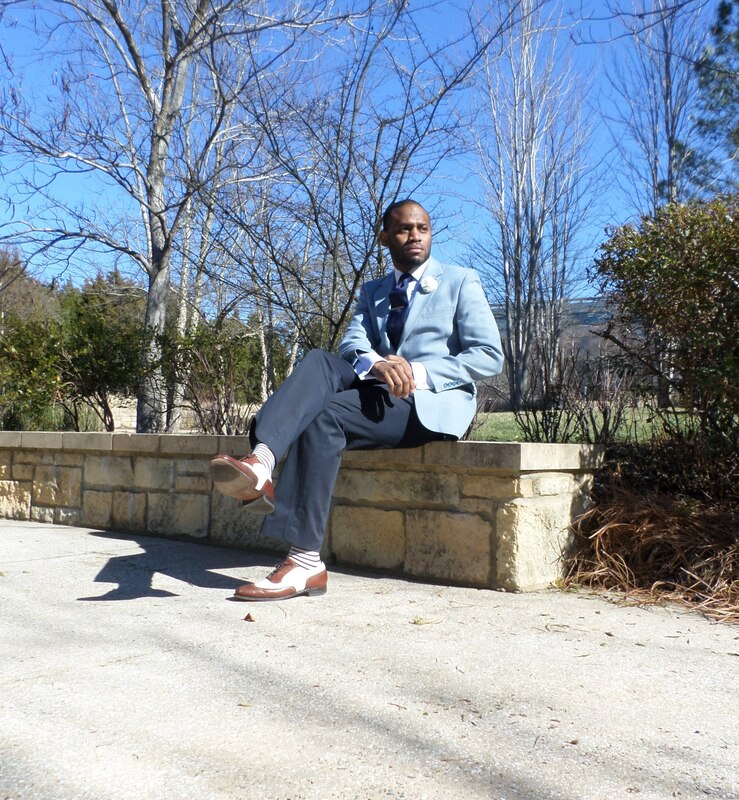 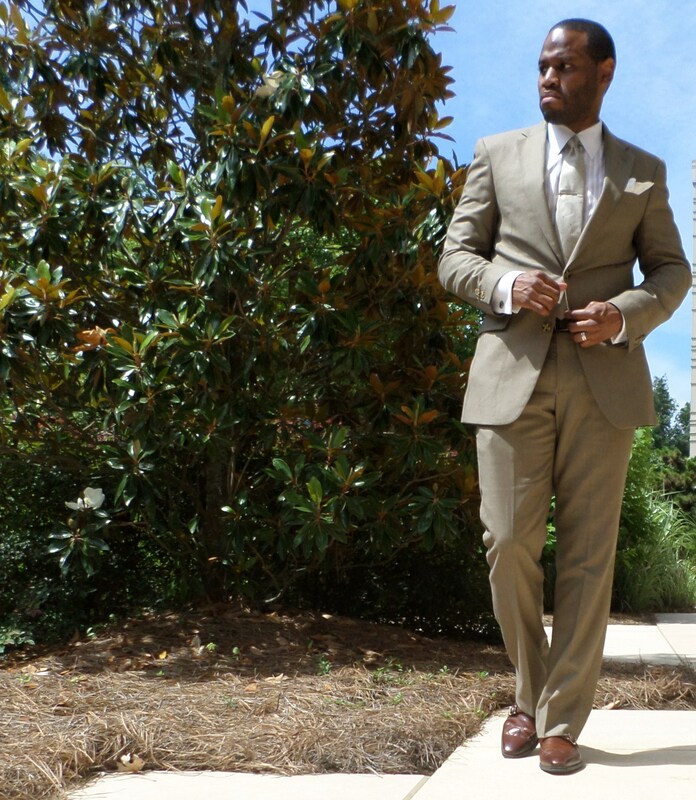 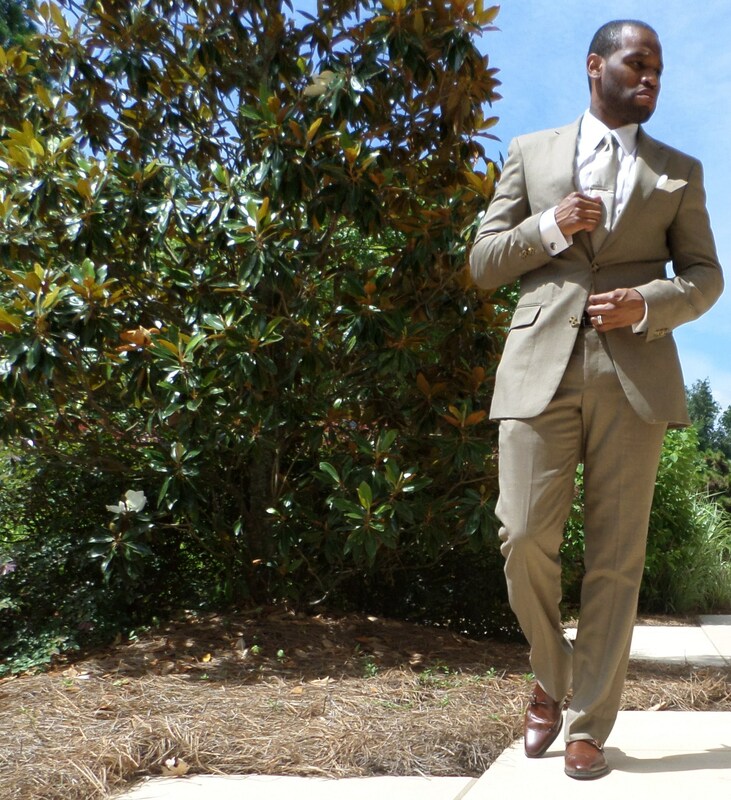 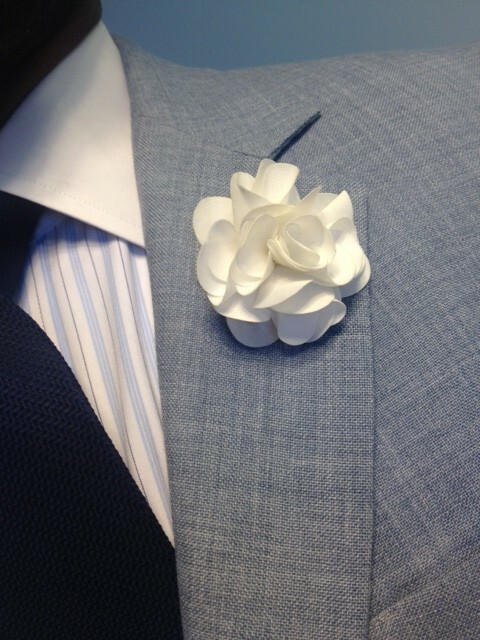 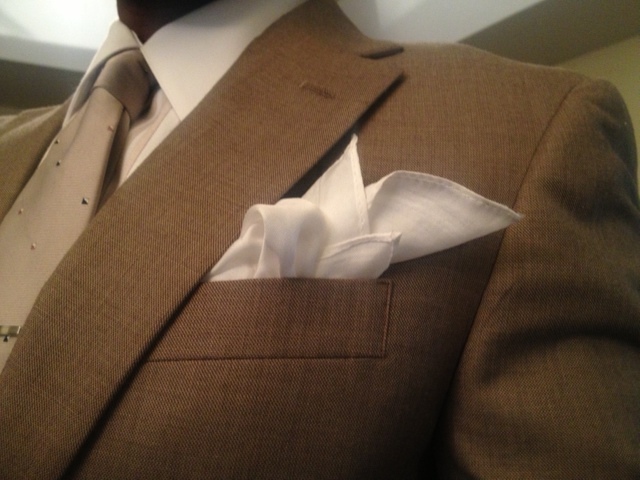 White flower lapel is from a small boutique on the campus of UNC Greensboro. 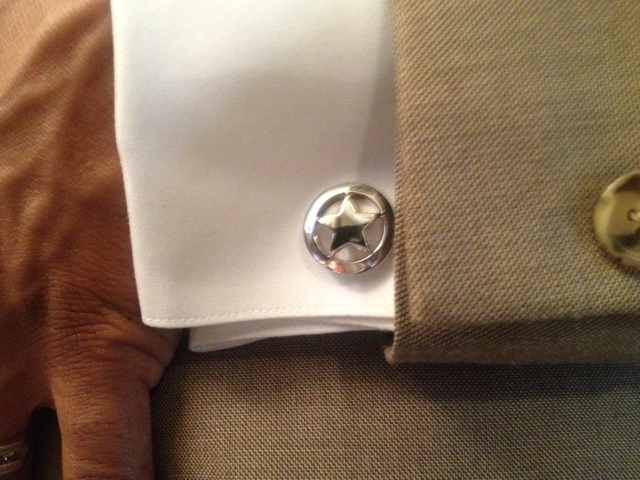 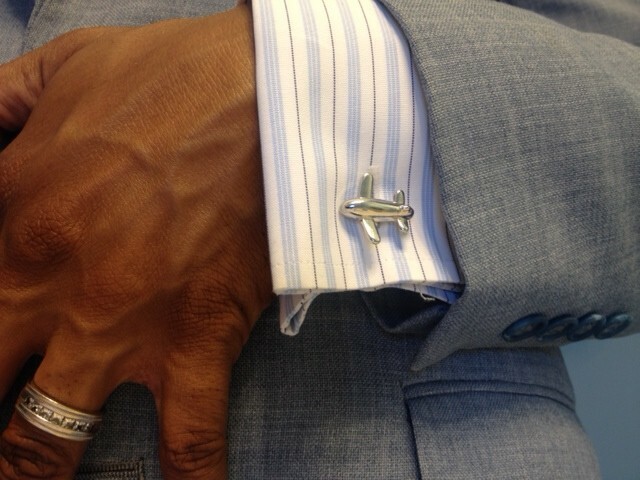 Airplane cufflinks are by Banana Republic. 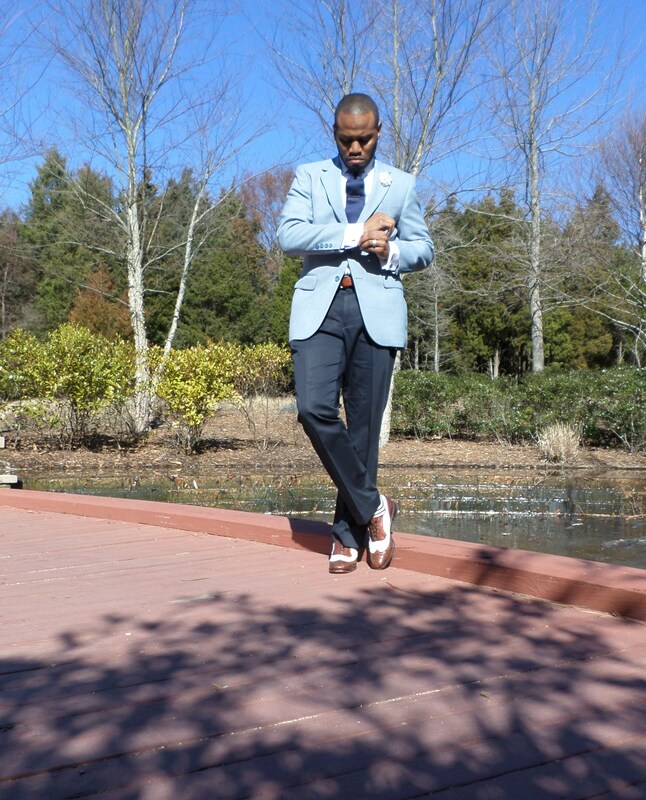 Light blue sport coat that features notch lapels, two button closure, rear center vent, flap pockets, and partial lining is a thrifting find. 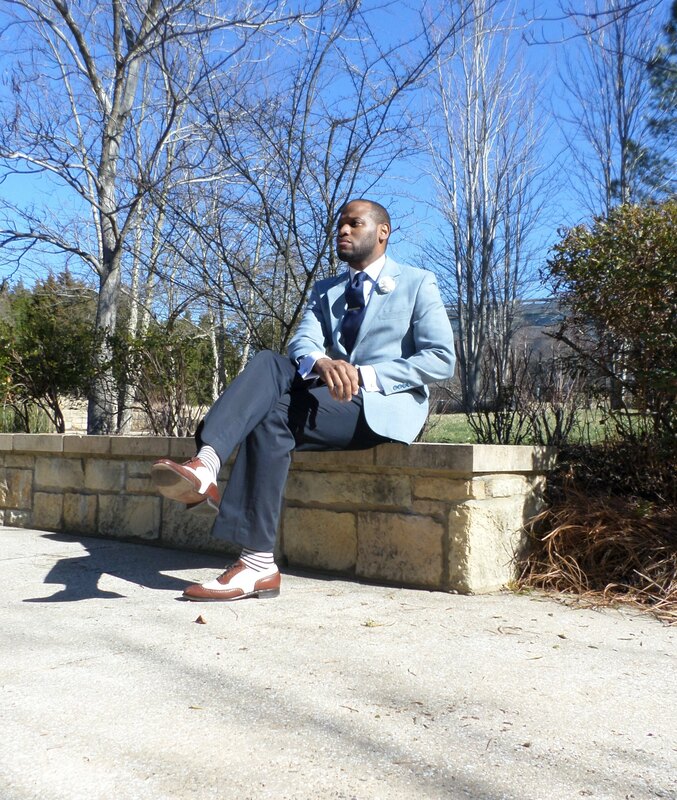 Navy flat front trouser are by Perry Ellis.